I met Emily three years ago when she was my roommate in university residence and not long after I met Emily's lovely mom, Jeanine. These two are such empowering, strong, funny, and wonderful women. 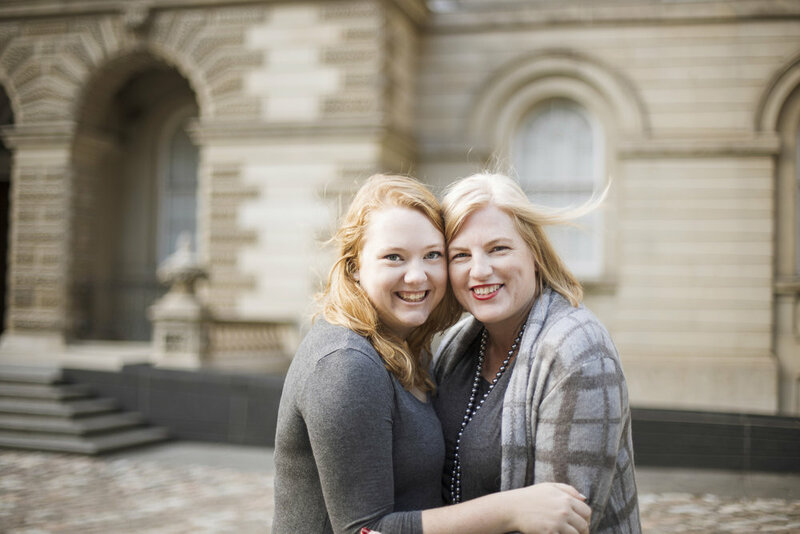 We did a mother-daughter editorial session, even though the whole time I was calling them twins, to capture their great relationship. 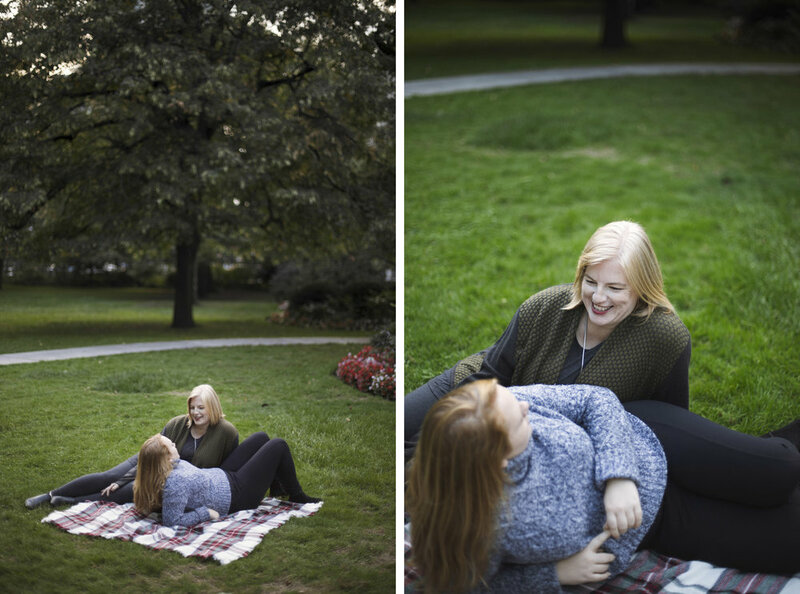 I'm so happy Emily and Jeanine decided to do this photo session together. There is nothing more important in my eyes than having photographs with the people you love the most, in the places you love the most. Exist in images - with your mom, your daughter, your sisters, and all the people you call your family. They will be the most precious treasures that will pass on through generations. 1) When Emily was in elementary school we went to McDonalds every Friday for breakfast. 4) Everyday I usually wake up to something my mom sent me that she saw on facebook that she thought I might like. These usually correspond to whatever I'm going through in my life. 5) I take my moms phone off do not disturb about twice a month because she doesn't know what it is. 7) To celebrate Emily's 16th year...we did a 365 project together...a photography blog...we each took a photo a day...it was called Same Day: thirty years apart. 8)When I was little I hated my moms blackberry because she was always on it. One time I hid it in my room, she wasn't happy. 9) Some of my favourite memories are driving in the convertible with the roof down. 11) Em's nickname is Elmo. That's what I called her before she was born and before I knew she was a her. It stuck. She even used it as her "name" as a counsellor at summer camp for years. 12) Em is a collector of Christmas Nutcrackers. 13). Em still loves her stuffed Winnie the Pooh she received when she was born. He's been everywhere with her. We once temporarily lost him at airport security when she was little...those were very long minutes until we retraced our steps and he was found. 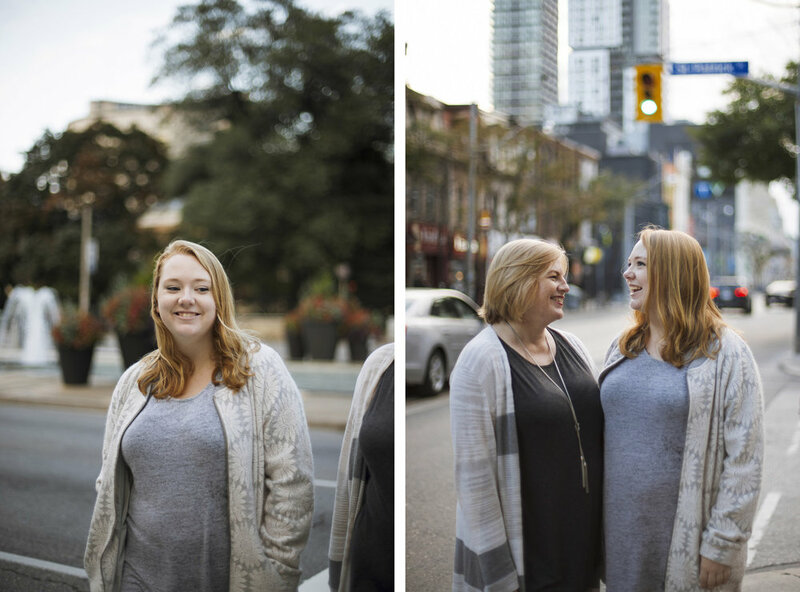 14) My mom only took 6 weeks of maternity leave before going back to her job because there wasn't any other choice. Every day during her lunch break she came home to see me. Even when she was working hard she put me first. 15) We both like photography, art and scrapbooking. 16) When Em was little she was constantly "directing" her friends in plays they would perform for me. 17) Em plays guitar and ukulele. 18) We both love to travel and read and go to the movies. I think I loved the Hunger Games and Divergent Series of books even more than she did. 19) Every Christmas we make cookies together just like my mom did with me. 20) Most of my friends refer to my mom as Pam. She's the cool mom who they follow on Instagram and get excited when she messages them on facebook. She's like a mini celebrity to people I know and she comes up in conversation more times than I'd like to admit. 21) My mom is the most hard working and caring woman I know. She is my role model and I'm so happy I get to share genes with her.